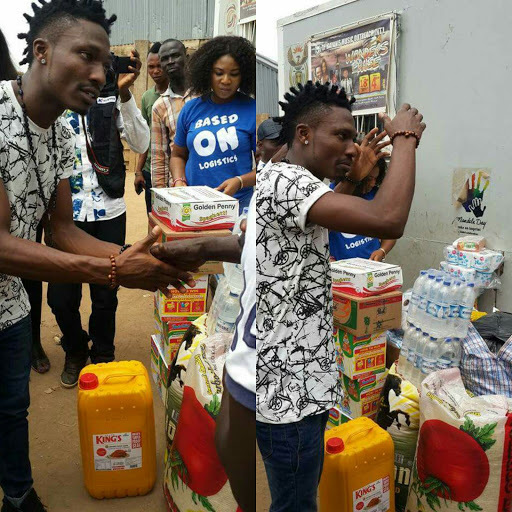 Efe Ejeba the winner of Big Brother Naija who is currently touring the whole of Abuja paid a visit to the people at IDP camp located in Kuchingoro area of Abuja. He took with him so many relief materials to share with them as seen in the pictures. He is really God's favorite and I am glad he is doing this. God bless him!